Whether it's a brand new garage door, garage door maintenance, or garage door repairs, Cheney Washington residents rely on the professionals at Precision Garage Door to fix any issues that arise. We know there isn’t a good time to encounter a problem, so don't hesitate to call us as soon as you encounter an issue, Precision Garage Door of Cheney is ready 24/7. Count on our certified technicians diagnosing and solving your garage door issues quickly and professionally. We are proud and excited to serve the Cheney and the surrounding Spokane communities. Contact us today if you have questions about your garage door, our certified professionals are ready 24/7. Cheney- Check out our exclusive Web-Only discount offers. When Cheney garage doors fail to work, you can count on Precision Door for fast, professional help. Our trained and certified garage door technicians will arrive on time, diagnose the underlying cause of the problem and provide long term solutions. We'll fix it right the first time. Today’s modern garage door opener provides convenient and safe access to your home. That means it needs to work every single time. 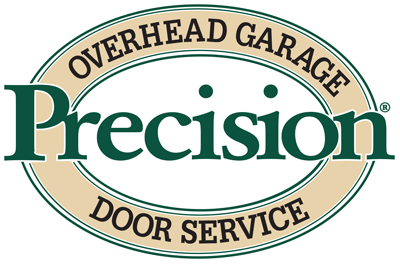 If you need a local garage door company that can provide you today's best value in garage door openers and repair or maintain your existing one - Make the Right Decision Call Precision Garage Door Service of Cheney.